Toys “R” Us has released their full slate of San Diego Comic-Con 2017 Exclusives. 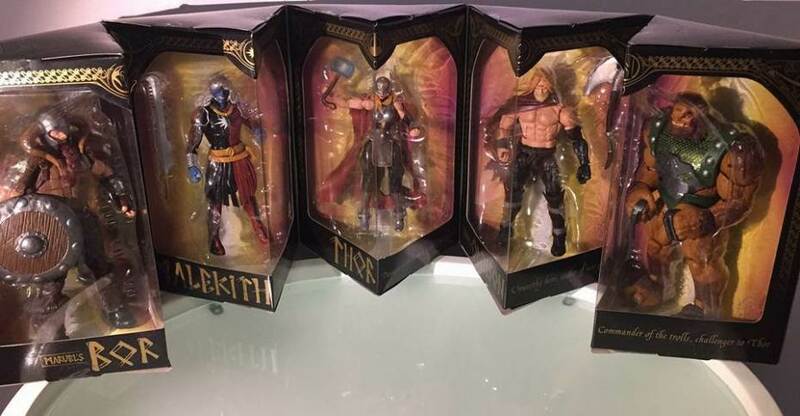 They will be available at the Entertainment Earth booth during the event, as well as some via Toysrus.com. Below is the full list. Read on for the photos. You’ll only find these items at Toysrus.com and at the Entertainment Earth Booth #2343 at the summer’s largest comic convention in San Diego, CA! Get our exclusives in San Diego and online starting Thursday, July 20! Star Wars fans will love this exclusive 6-inch Commander Gree figure from The Black Series because of its incredible features and craftsmanship. This collectible includes premium detail across multiple points of articulation that only The Black Series can offer. Featuring a high level of detail and intricate articulation with poseable fingers, the figure stands at 9.5 inches when in robot mode and converts between robot and truck modes in 24 steps. Comes with numerous classic Optimus Prime accessories, including the Spike Witwicky figure, Orange Energy Axe and more. 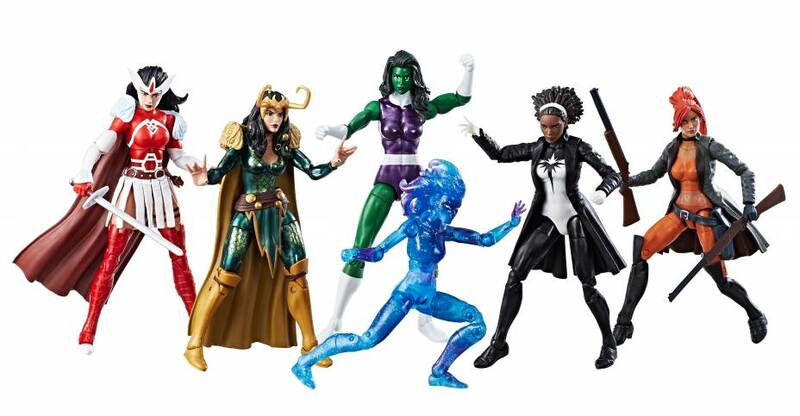 This Marvel Legends A-Force Heroines pack comes with 6 comic-inspired figures, including Marvel’s Singularity, She-Hulk, Lady Loki, Elsa Bloodstone, Monica Rambeau and Sif. Each 6-inch tall heroine figure is highly articulated and features a beautifully detailed design. This POP! vinyl figure features Scott Pilgrim with his bass guitar in hand. Standing at 3.75-inches tall, Scott Pilgrim also sports his infamous Plumtree t-shirt that fans will undoubtedly recognize. X-Men fans rejoice because X-23, the cloned daughter of Wolverine, has officially received the POP! vinyl treatment. Available exclusively at Toys”R”Us, X-23 measures 3.75-inches tall and comes packaged in a window display box–perfect for collectors and a must-have at the show. This exclusive 2-pack delivers the new film’s hero and villain. Spider-Man aficionados can enjoy Peter Parker (aka Spider-Man) with his mask raised and Adrian Toomes (aka the Vulture) in his civilian clothes. Both mini-figures are fully posable and feature up to 14 points of articulation, as well as interchangeable parts and accessories. It’s Morphin’ Time! Fans can power up with this Comic Convention Exclusive Power Rangers Micro Morphin™ Figure 5-pack. These translucent mini action figures are an awesome addition to any Power Rangers collection. Attendees can bring home Ruby Rose, the leader of team RWBY, in a Toys”R”Us exclusive 3.75-inch scale figure. Featuring Ruby Rose’s hood up and variant paint, fans will adore this figure of the brave, ambitious and cookie-loving heroine on a mission to protect the people of Remnant. Featuring one of WWE’s biggest personalities and champions, this bold and colorful figure captures Isaac Yankem’s deranged “drilling.” The figure also includes deluxe articulation, a detailed character expression, authentic ring attire, and comes equipped with a dentist jacket and headgear. Attendees can bring the action and excitement home with a Comic Convention exclusive “Gold” Spider-Man! This action-posed and stylized 4-inch scale die cast Spider-Man weighs-in at half a pound and will make an awesome addition to any collection. Fans will adore this 13.5-inch collectible doll featuring a sweetheart keyhole bodice, long gloves and Black spiked high heels booties. This articulated Fan Girl collectible channels Black Panther undoubtedly, with accessories such as a layered claw necklace, choker and headpiece, as well as panther ear inspired hair buns. Conventioneers will rejoice over the Black Lion of Voltron that’s now available in premium diecast. This detailed figure is fully articulated and made from high quality materials. Collect all 5 diecast lions to combine to form an 8-inch articulated Voltron figure. This detailed figure is fully articulated and made from premium materials. The Red Lion transforms into the right arm of an 8-inch scale Voltron figure, perfect for collectors. Collect all 5 diecast lions to combine to form an 8-inch articulated Voltron figure. Conventioneers will love the fully articulated figure made from premium materials. When combined with the other Voltron Lions from the Metal Defender series, the Green Lion transforms into the left arm of an 8-inch Voltron figure. Collect all 5 diecast lions to combine to form an 8-inch articulated Voltron figure. The highly detailed and fully articulated figure is made from high quality materials. Attendees can add this figure to the collection because the Blue Lion transforms into the right leg of an 8-inch scale Voltron figure. Collect all 5 diecast lions to combine to form an 8-inch articulated Voltron figure. Voltron aficionados can finish off the collection with the Yellow Lion of Voltron. When combined with the other Lions from the Metal Defender series, the Yellow Lion transforms into the left leg of an 8-inch Voltron figure. Collect all 5 diecast lions to combine to form an 8-inch articulated Voltron figure. The alphanumeric codes printed on some of the figures indicate these are factory samples. So final details may change on those. Read on to check them out.